Here is a picture taken while on the bridge. 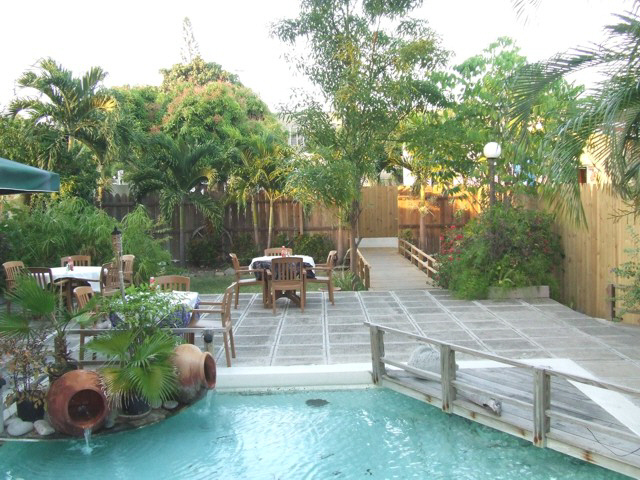 The water from the pots flow back into the pool creating a relaxing atmosphere. These pictures were taken some time ago and the plants at the corner of the pool are even larger and much, much more breathtaking now.